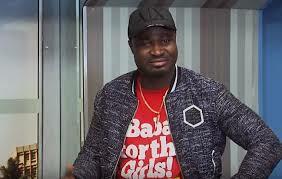 Harrysong Solicits Help After Suicidal Thoughts – Royal Times of Nigeria. From CNN’s travel journalist Anthony Bourdain who commited suicide at sixty-one to Kate Spade, a fashion icon who hung in her apartment at fifty-five, down to Music star Justin Bieber who once shared messages on social media suggesting he might be having suicide thoughts, one thing is a common denominator amongst these people which is that they all have successful career paths, so what could the problem be? This brings us to Nigerian singer and alterplate boss Harrysong who on Wednesday posted an epic message on his page suggesting he was going to die. Although the ”Tekero” crooner sought therapy with one Oyinkansola Alabi and says he is now okay, individuals need to be more aware of their environment and those around them by showing love and concern from time to time. A big thank you to concerned fans, friends and family who have put in calls, Messages and emails to check on Harrysong after his last alarming Instagram post twenty-two hours ago.